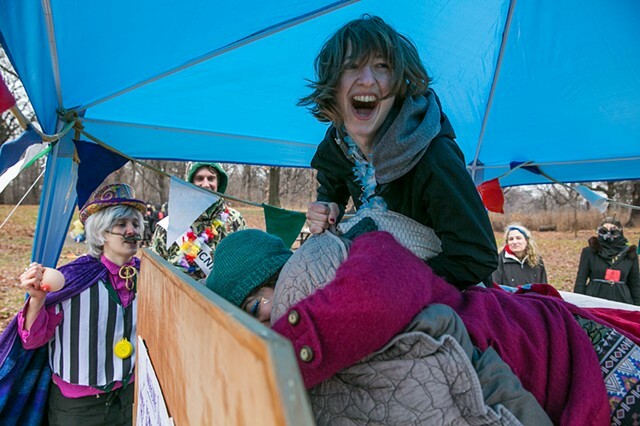 On a drizzly February Sunday that soon became rather temperate, 50+ goons formed about a dozen teams to compete in brilliantly idiotic competitions. Hashing it out for Richest Picnic Meal, Tastiest Picnic Drink, Funnest Picnic Game and Tightest Thematic Team, these willing participants threw down with puns, costumes, tableau and an epically fierce Snuggling Olympics ceremony. Produced by Shadow Traffic with special guest judges Jason Eppink and Preston Change-O. Most Thematic/Best Costumes/Best Picnic Basket: ANTS ATTACK! And the Grand Champion of Snuggling Olympics: Alex Augusty!